When it comes to writing good, compelling characters, there’s a lot to consider. You want to create someone memorable, who readers can relate to. But most important, you want to make sure that your memorable, relatable character doesn’t change midway through the story. 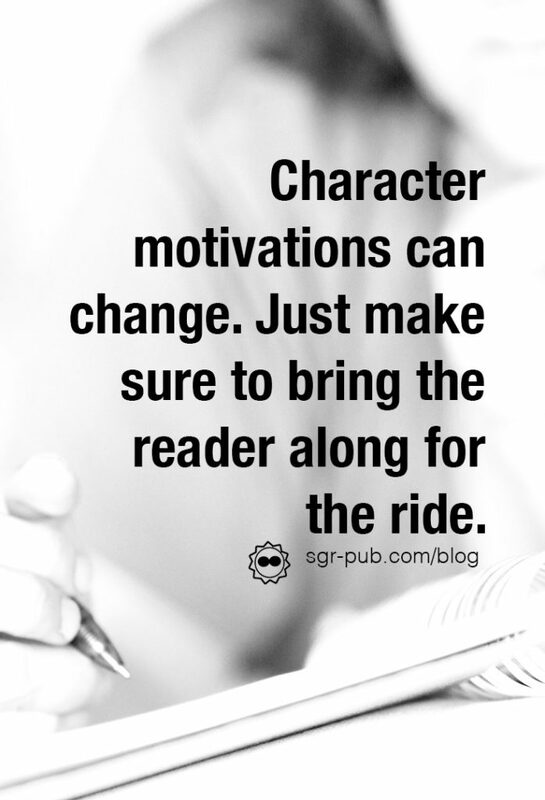 And for that, we need to understand character motivations, and how that impacts your plot. Any actor will tell you that a motivation is the underpinning for a good performance. You have to understand why someone acts in a certain way, even if the explanation never comes out in the text. When you understand your character, you can then write them in a way that’s believable. 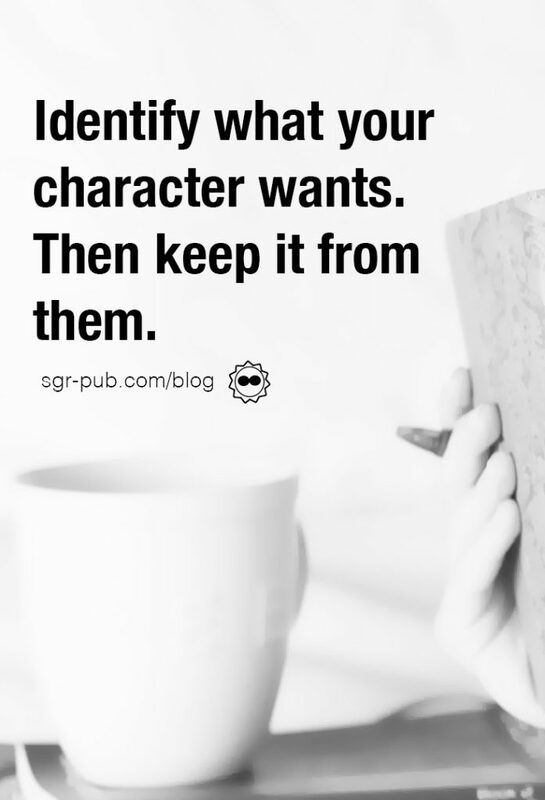 To start, you need to understand what your character wants. What is the thing that will give them their “happy ending?” Your plot should revolve around keeping that thing from them. So as they go about your narrative in pursuit of that thing, their actions within the book should reflect that thing. Of course, humans are multi-dimensional creatures, and so are book characters. What a character wants at the beginning may not be what they want in Chapter Twenty. Sometimes, your plot dictates that a character’s motivations must change. The trick is to make sure to bring the reader with you when you make those transitions. An example would be a thief in pursuit of a treasure. If he gets to the treasure and decides that he suddenly doesn’t want the treasure, the reader feels cheated. Why had they gone on this adventure if the thief changed his mind? However, add in additional detail about how the treasure belongs to a young widow, who the thief befriends and grows a relationships with, and the reader can understand why he’d make an about-face. The dreaded “ret-con” (or retroactive continuity) is what happens when a new book or TV episode changes the existing background established by a previous installment. This happens a lot with pilot TV episodes, where the overall idea behind the show may not be solidified. In book series, however, it becomes an issue when an author decides between books to change an idea–and neglects to take the reader with them. For example, in one book, the narrator promises the relationship is platonic, and there’s no sexual tension between the two. But in the following book, the two characters suddenly can’t keep their hands off each other. The author indicated through background information that much more had passed between them in the space between the books. However, the reader, who was not present in the action, doesn’t get the emotion. And thus feels cheated because the author has “changed” a character. Think of character confusion as a lack of communication. Authors are free to transition to any motivation they want, but when they fail to communicate the how and the why, that’s when problems start. One of the best ways to combat this issue, besides an awareness of plot, is to talk to your beta readers or enlist a content editor. When it comes to character motivations, your betas are often your best assets. They are usually readers themselves, and quick to point out where a motivation change was too hastily executed. This is also where a good content editor can help. In a few weeks, we’ll share our best tips for incorporating feedback from your editor and beta readers, so come back for that.